The counselling session is done in order to allot seats to the eligible candidates. 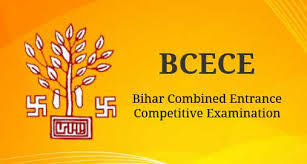 Those candidates who will clear the BCECE 2019 entrance test and qualify the cut-off marks will be called for counselling procedure organised by the board. The allotment of seats will be done during the counselling procedure. To appear for the examination, a candidate should pass the five stages of counselling. The candidates should visit the official website of the BCECEB. Go to the student login page and click for the counselling registration. The candidates have to fill their Roll number, Name, Father’s name etc, mobile number and a security question. The allocation of the seats of the candidates will be purely based on candidate’s rank in the merit list and choices filled by them. After the handwriting verification is successfully completed, the student should check his login page to get an Allotment letter from the BCECEB. The students are advised to take a printout of the allotment letter. 6 photographs similar to the ones used in the Online Application form of BCECE.